The University of Vocational Technology (UNIVOTEC) was established by the parliamentary Act No. 31 of 2008, and functions under the ministry. Currently, there are 6 University colleges established under the purview of the UNIVOTEC. 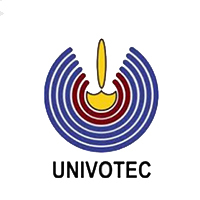 The general objective of the UNIVOTEC is to provide progressive upward movement to the students in the technical education and vocational training system, based on their aptitudes and abilities, to acquire university education. Provide pedagogical training up to degree level for trainers serving in the technical and vocational education sector and industry. Provide courses of study for middle level technical personnel, with qualifications acceptable for admission to UNIVOTEC, up to degree level, and Provide courses of study for those with National Vocational Qualifications to upgrade their competencies and acquire a degree level qualification Provide extension courses on continuous professional development.